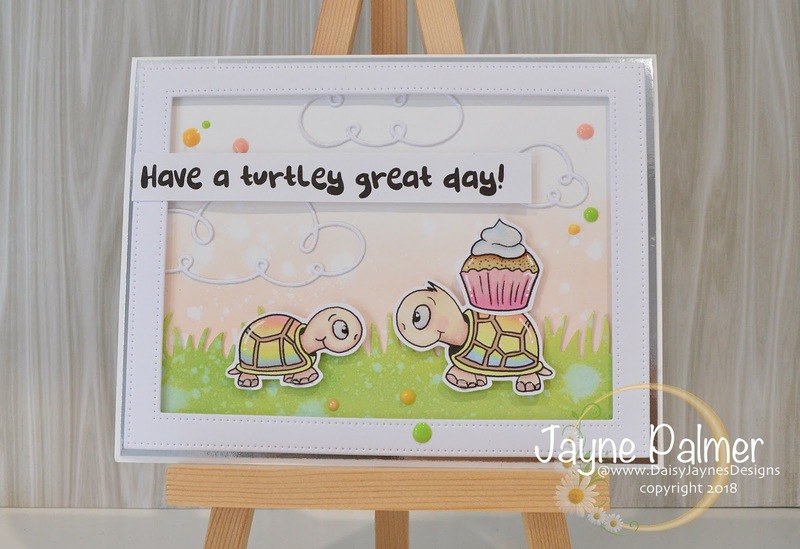 Today, I would like to share 3 cards, made with the new stamp set release "Turtley Great" by Gerda Steiner Designs. A2 landscape, top folding card, Tattered Rose Oxide ink for background, Memory Box Scribble Clouds die, Lawn Fawn Grassy Borders die, Gerda Steiner Turtley Great 4x 6 stamp set, Nuvo drops, Copic markers. 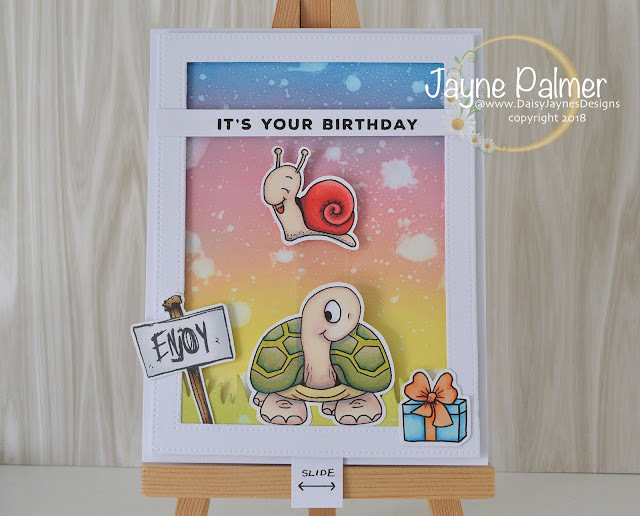 A2 landscape, top folding card, Salty Ocean, Squeezed Lemonade and Worn Lipstick Oxide ink for background, Opaque white Liquid Pearls, Lawn Fawn Grassy Borders die, Gerda Steiner Turtley Great 4x 6 stamp set, Copic markers. 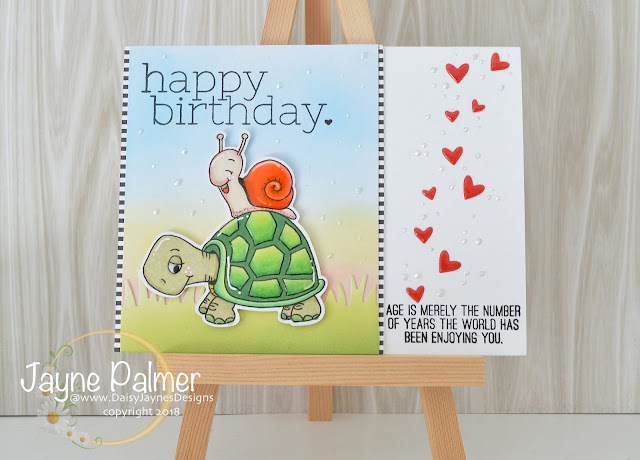 A2 portrait, top folding card, Salty Ocean, Squeezed Lemonade and Worn Lipstick Oxide ink for background, , Lawn Fawn Grassy Borders die, Gerda Steiner Turtley Great 4x 6 stamp set, Copic markers. Acetate and paper fastener to create moving snail. 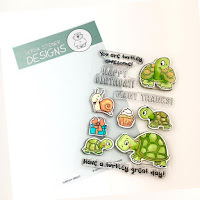 Please be sure to check out this stamp set and many more from Gerda...they are all such fun to play with! !